The number one complaint about the appearance of teeth that people mark down on our admissions forms is that the teeth are too yellow. 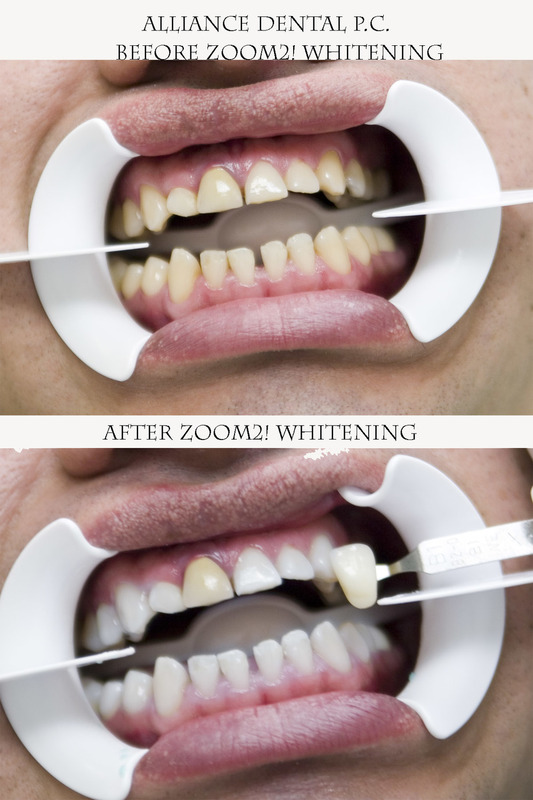 Well why not whiten your teeth with a 45 minute procedure called Zoom 2 Advanced Power. We begin by covering your gums, lips, and any other soft tissues with an isolation material. This step is essential for safety and to prevent sensitivity. This process takes about 20-25 minutes. One of the primary reasons why people have problems after 15-minute whitening offered at the mall is because this important step is skipped. 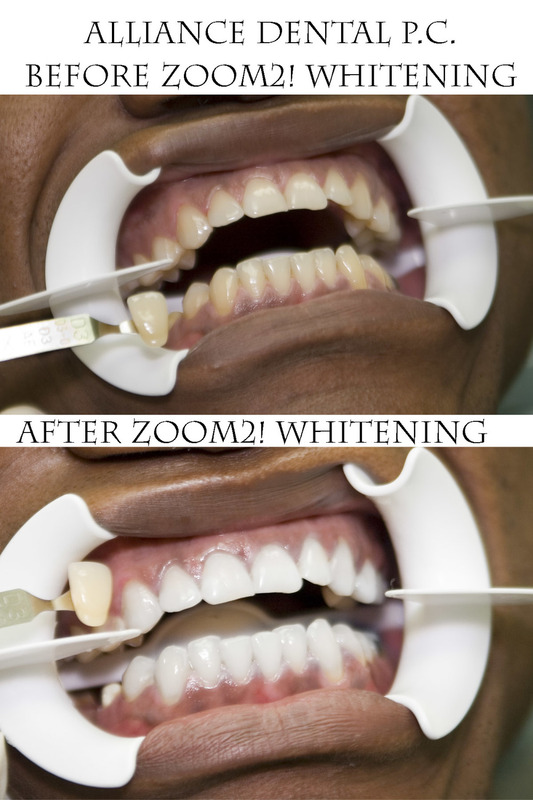 We then proceed to apply whitening gel to your teeth and expose it to an ultraviolet lamp. This is repeated 3 times and each session lasts 15 minutes. Three sessions later you are ready to enjoy your brand new, whiter smile. The total time with the preparation, whitening, and finishing procedures is about one hour and thirty minutes. The average patient sees a difference of about 8-12 shades.